Do you have an area of your yard or garage that is a catch all for odds and ends? You may find some of the items you have can be used to make vertical planters for flowers and other plants. All you will need to do is review a list of ideas to use on your property. Any items that you can easily stack can be used to make various types of vertical planters. One thing that you need to remember is the items you find need to be able to be filled with dirt. You can also make a set of planters from scrap wood. Creating your own vertical planters will be a fun DIY project for a slow weekend. 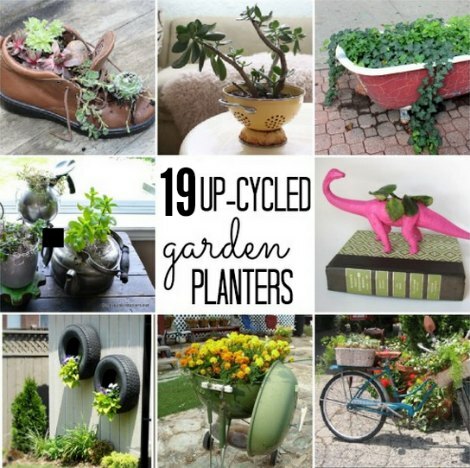 You can build a new planter to use to boost curb appeal or to make use of wasted space around your home. A hammer and some nails may be all you need for this task. A list of vertical planters you can build at home is on creatingreallyawesomefreethings.com here..